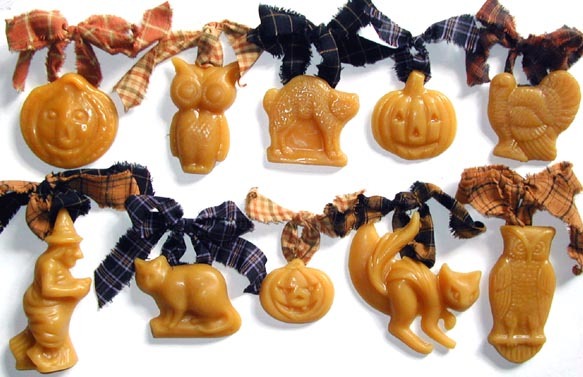 Each Beeswax Oranment is hand crafted using all Natural golden beeswax and antique chocolate molds. The figures have a flat back and a wire hanger inserted into the back for hanging either a homespum ribbon or satin ribbon. Please specify which type of hanger you prefer on your ornaments. All ornaments will include a ribbon even if one is not shown in the photos below. 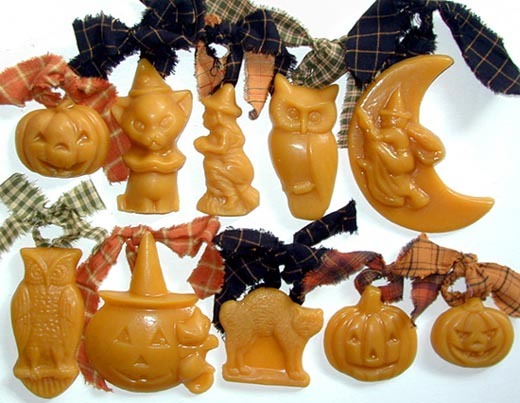 Each piece is hand-poured in all natural, deep amber colored beeswax and cast using a wonderful highly detailed antique chocolate mold. Christmas Santa Beeswax Ornaments will be added in October.